Where’s the one place you can find Mr. Darr making out passionately with Shamu the orca? If you guessed Seaworld, think again. The correct answer is the recurring dream of someone who attends the SLV campus, an individual from the student or staff body who would rather remain anonymous, for obvious reasons. And just to save one particular teacher the trouble of a thousand questions, it’s not Mr. Darr. There’s no doubt that everybody, at one time or another, has had a dream of equal strangeness or obscurity. If the bearer of this reverie can take any comfort in his or her dream, it is the fact that he or she is not alone in harboring a deranged imagination. It’s impossible not to wonder, with such strange images reverberating throughout our minds, what the causes are in our waking lives. The neural causes of dreams are still not fully determined, but psychologists are sure that these products of our imaginations hold some meaning for us as individuals, some kind of subconscious ruminations on who we are. What we see in our dreams is the raw essence of ourselves, and it can be an enlightening source of introspection if we know how to interpret it. Full interpretations of dreams require both research in a credible dream dictionary as well as intensive self-examination; but for starters, here are some common images seen in dreams and their meanings. The dream in which teeth unexplainably fall out of one’s mouth is, unsurprisingly, common. What it means in most cases is that you are dealing with a simple problem every person faces at one time or another regardless of self-assuredness: You feel worried about your attractiveness. This may not bring about any great revelations to those whose consciousness is just as plagued by this issue as their subconscious mind, but it is useful to know because it indicates that this issue is bothering you a great deal more than it should be. In this case, the root of the problem is more likely to be a skewed self-image than your actual appearance. What might be beneficial to you is to adjust your body language, not your hair or the amount of makeup you apply. Studies show that body language indicating self-esteem, like shoulder-width feet, relaxed shoulders, shoulders set comfortably back, and just about anything having to do with shoulders, can not only improve your self-image, but also how others perceive you. Always keep in mind that you cannot expect others to believe about you what you do not believe about yourself. Animals, throughout human history, have been considered to embody certain attributes in humans based on the preconceptions of the culture. So it is in dreams. If you see an animal, it embodies your own characteristics. Consider not only the common stereotypes of animals when analyzing dreams with various fauna, but also what the animals mean to you personally. Take into account what traits you associate with the animal, your previous experience with the animal, and the role of the animal within your dream. If you do this, you can discover a better overall view of your self-image. Water, the life-giving liquid, the elixir of refreshment, the bane of the coarse sand of thirst that plagues your throat; but also the unrelenting torrent, the bringer of erosion and decay, the angry turquoise maw that inhales lost vessels without effort. Water represents emotion. Like animals, water must be interpreted according to its activity in the dream to discover your hidden dispositions. If the water is still, peaceful, and shimmering, then your emotional state is as well. However, it is also just as likely you will encounter moving and tumultuous waters, or perhaps a slight trickle indicating pent-up emotions. Understanding your emotional state is an integral part of maintaining conscientious behavior and avoiding unexpected outbursts. Evaluating the nature of the water in your dreams correctly is the first step on the way to finding a more tranquil emotional life. If you are suddenly and unexpectedly naked in a public place, it usually indicates you have something to hide. What secrets are you shamefully harboring? What façade hangs on the verge of being broken? What do you know that you’re not supposed to know, what do you do that you’re not supposed to do, what do you think that you‘re not supposed to think? Again, consider the context of the dream. Consider the place, as well as the people and objects in that place, where you suddenly discover you’ve left your clothes behind. Then determine by the clues within the place what is causing your paranoia and hopefully, with this insight, you can find a way to alleviate it. Keep in mind that the root of your sensitivity might not be something you are doing, but rather an aspect of your personality of which you are ashamed. Always remember that no matter how much you feel that there is nobody willing to accept who you really are, there is. Somewhere within this world, there is a place for everybody and there’s certainly a place for you. On a different note, if you are naked without any shame, then that means you have nothing to hide. You’re probably a generally open person, in that case, and you feel pretty confident in your personality and reputation. Keep doing what you’re doing, but please remember that dreams are psychologically symbolic and should not be taken literally, especially not at school. And if you do take it literally, be ready to explain to Ms. Van Putten how you were simply displaying pride in your personality. I’m sure she would be happy to hear that. Now remember, these universal dream symbols are only generalizations reached by psychologists and enthusiastically introspective individuals. Dream symbols might mean different things for different people, so always consider your own experiences, tendencies, and associations before jumping to conclusions about the meaning of your dreams. Don’t be afraid to misinterpret; you are evaluating your own mind after all. Even if you reach a faulty conclusion, dream interpretation can tell you something profound about yourself if only about your own introspection process. So here I leave you, after a brief introduction to the world of dream analysis. If you benefited from this article, I suggest you delve deeper into the world of dreams. 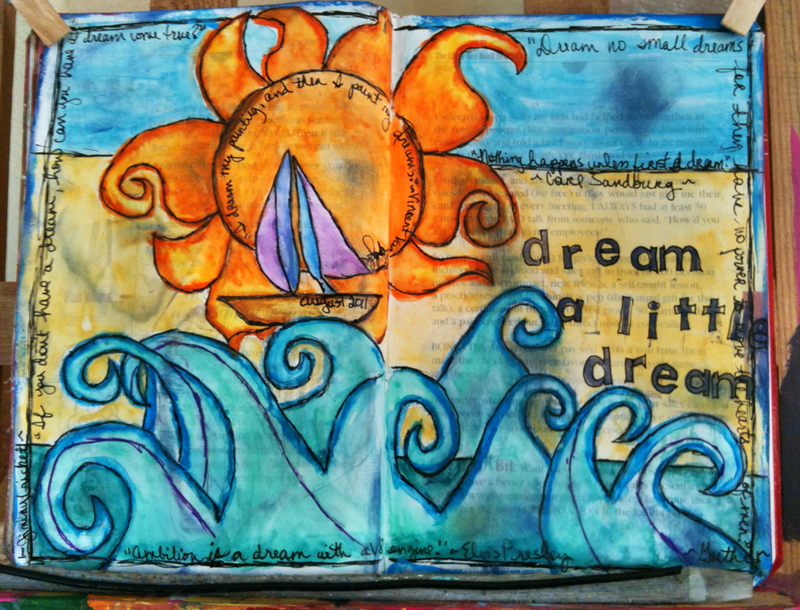 Keep a dream journal. Read dream dictionaries, preferably multiples in order to spot incongruent information. And most importantly, philosophize long and hard on what you dreamt and why you dreamt it. Just don’t get naked on campus.